May 28, 2015 – The Denver Museum of Nature & Science will be holding a Pluto-Palooza event on Wednesday, June 10, at 7 p.m. This special event is dedicated to NASA’s New Horizons mission to Pluto, which is scheduled to make a historic flyby of the icy dwarf planet in July. Many of the key mission scientists and engineers are based in Colorado, and they’ll be sharing their favorite highlights from New Horizon’s nearly decade-long journey across the Solar System and providing a sneak peek at the fascinating new science expected from this mission. Guest speakers will be Alan Stern, principal investigator; Fran Bagenal, co-investigator; Joe Peterson, team lead for the Tombaugh Science Operations Center; and Jamey Szalay, a member of the Student Dust Counter instrument team. 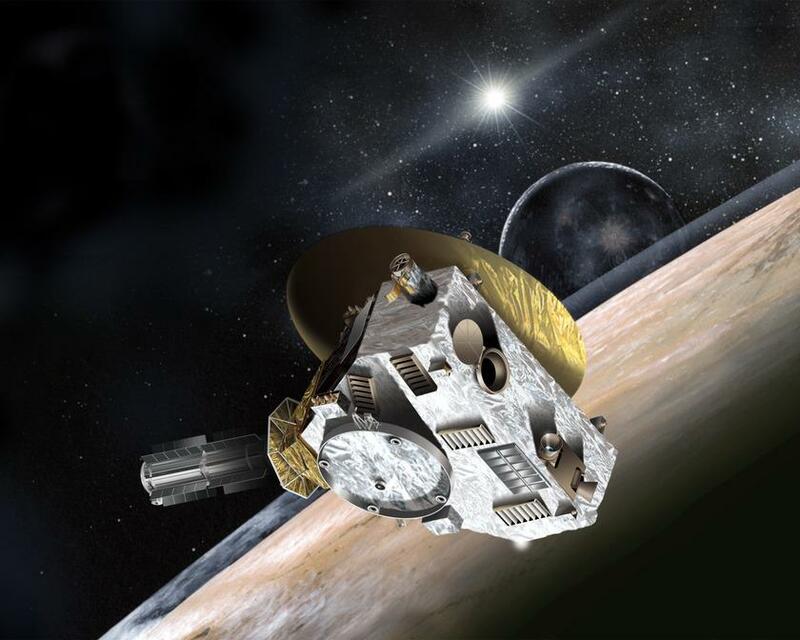 New Horizons is about to make history. On July 14, it will reach its closest point to Pluto and a system of five known moons. As the compact probe flies by, it will be taking images and scientific readings with the most advanced suite of cameras and spectrometers ever sent on an initial reconnaissance mission. Reaching this third zone of our solar system – beyond the inner, rocky planets and outer gas giants – has been a space science priority for years. In addition to Pluto and its largest moon, Charon, this third zone, known as the Kuiper Belt, contains many small planets and planetary building blocks. New Horizons will give us scientific data about the atmosphere, geology, surface compositions and temperatures on Pluto and Charon, as well as our first close-up images of this region of the solar system.